ARC Flash Labeling Services is a full-service supplier of consulting, survey, installation, remediation and staff training services. 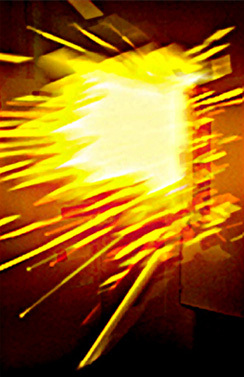 With more than 50 years of field experience, ARC Flash Labeling Services helps meet facilities’ compliance needs to satisfy the electric code rules governing the hazard of catastrophic electrical fault failure (Article 110.24 of the 2011 edition of the National Electric Code and NFPA 70). Review and revise ratings in existing systems where the fault current is determined to be greater than the rating of the equipment at a given point within the system. Instruct employees about the proper use of personal protective equipment and safe working practices in energized panels and equipment. ACT Now to receive a free estimate! All companies must comply with the new code! Early recognition and assessment of the need for compliance with the rules for arc flash labeling reduces the risk of fines, increased insurance premiums and possible loss of life or injury from catastrophic fault failure hazards. Joe Stewart -is an electrical contractor with extensive experience in the commercial electrical field, specializing in large retail establishments.